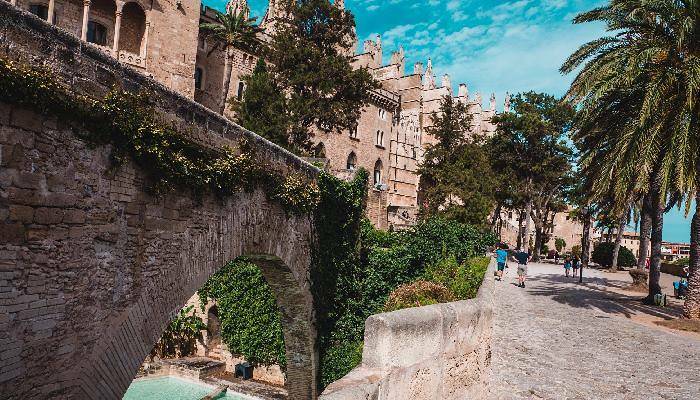 Majorca, the largest of the Balearic Islands, is a sight to behold, with dramatic cliffs offering up jaw-dropping vistas and pristine coves sparkling with crystal-clear waters. Away from the coast, holidaymakers can enjoy historic towns and charming villages where medieval churches sit beside ancient castles and art galleries. The hype around this pretty isle is set to continue as the hit ITV dating show, Love Island, was filmed here again this summer. A recent study has shown that the BAFTA-winning show has led to a 23% increase in Brits flying to Majorca. Whilst the island continues to rise in popularity, there are still lots of hidden gems to seek out and explore. Here are just a few of our must-see locations! 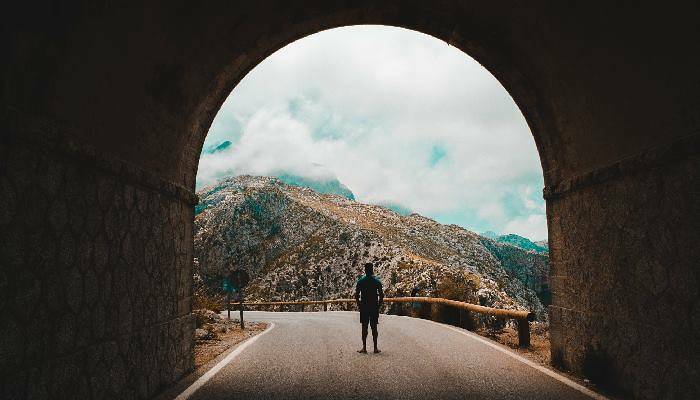 The Cap de Formentor road winds its way up the Sierra Tramuntana mountain, offering several spectacular viewpoints along the way, including the well-known Mirador Es Colomer. Here, a steep path leads you up to a cliff edge where there is a verdant mountainside plunging into the blue seas 300 metres below. This spot allows views out over the district of Cala Figuera and Menorca in the distance. 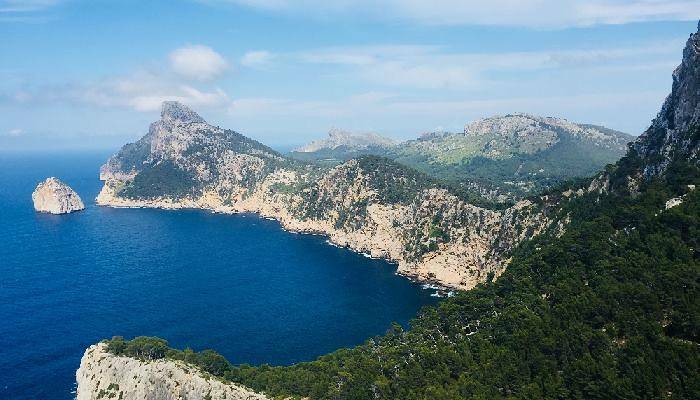 It is one of the most popular views in Majorca and is easily accessible from the resort of Port de Pollença. Located on a mountain road in Escorca is an observation deck with views that you won’t want to miss! This viewpoint at Colls Dels Reis gives visitors views out over the twists and turns of the road below. There is a cafe/bar here, allowing you to sip a coffee whilst drinking in the views – what better way to spend a holiday morning? For an Instagram worthy shot, take a leaf out of my book and step into the middle of the arch whilst a friend snaps a photo of you enjoying the view. The charming village of Montuiri is worth seeing on foot. It is surrounded by old stone windmills and bedecked with beautiful buildings and quaint shops and cafes, making it a great spot for an afternoon of exploring. Walking around this pretty village is like walking through time, with different examples of architecture ranging all the way back to medieval days. The best views in the area are to be found at the peak of Puig de Sant Miquel where Santuari de la Bona Pau resides. This former hermitage dates back to 1395 and is photo-worthy in itself. 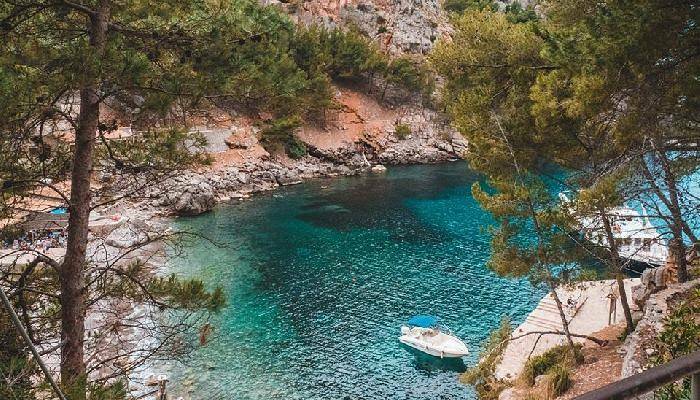 The village of Sa Calobra boasts two beaches, tucked in amongst a craggy mountainside. The waters here are crystal clear and practically beckon visitors to jump in. When you’re not swimming in the cooling waters, you can kick back with a book in this relatively unspoilt location. Due to its remote location, the village is a bit tricky to reach but this is all part of its charm. The beaches are most easily accessed by ferry from Soller, these run from April to October each year. During summer months there are tour buses offering trips here too. 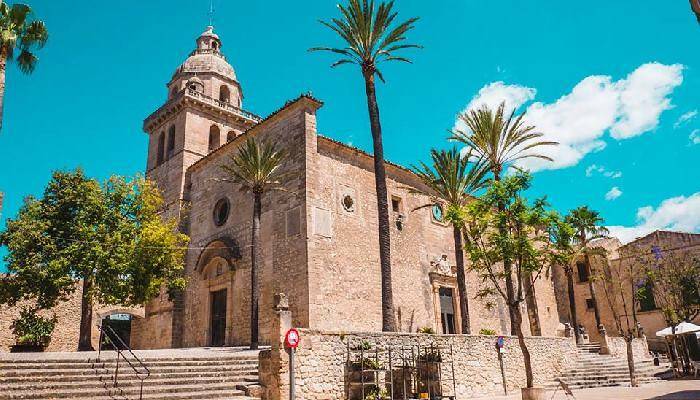 Last but not least is the jewel in the crown of Majorca’s architecture, the Palma de Mallorca Cathedral. The Cathedral is a looming presence on Palma’s seafront, overshadowing the rest of the city’s buildings in both stature and grandeur. Whilst the outside is gorgeous, with an intricately carved facade, it is inside that this amazing building really comes into its own. Sporting 83 windows, the interior is often speckled with multi-coloured lights as the sun shines through. It is this effect that has seen the nickname, the Cathedral of Light be coined. As a dealchecker Web Designer, I design creative web pages to ensure that our website looks good in all devices that you may use. In my spare time, I love to travel to new and exciting places! ← Street Food Cities You Have To Visit!